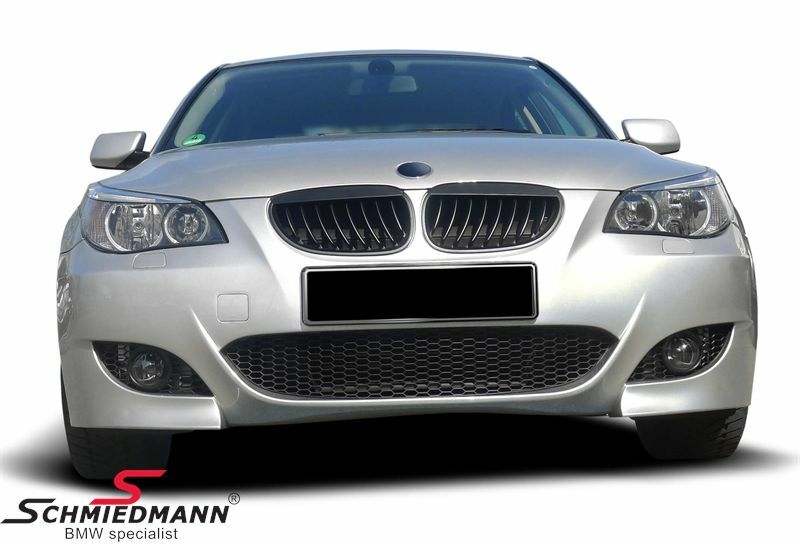 BMW E61 Remnant sale/demo part etc. All models without PDC (Regarding to the supplier, there is marked drill holes on the backside for PDC sensors but you will also need to get PDC sensor-holders that must be glued on the backside, Schmiedmann can not confirm or guarantee for this modification). All models without towing hitch with M-Technic rearskirt (for models with exhaust in both sides, for instance Schmiedmann/Eisenmann)! NOTICE - FOR SALES DUE TO BAD FITMENT.